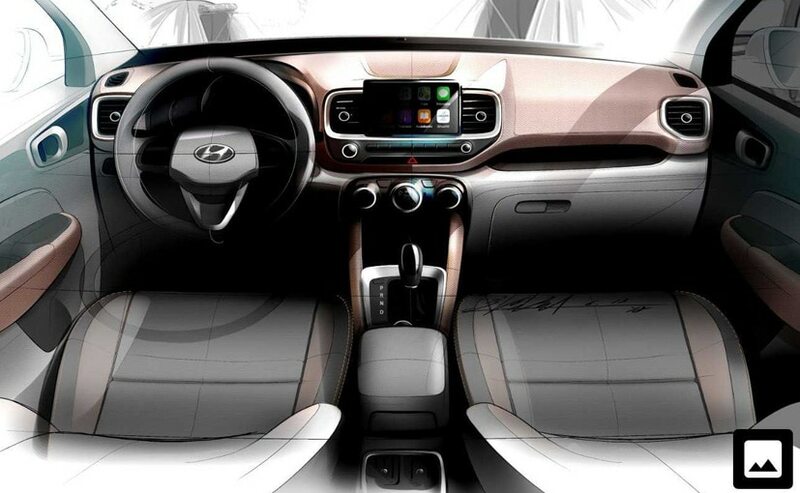 The Hyundai Venue will be the first model in the subcompact SUV segment to get a dual-clutch automatic transmission. Hyundai will also supply the new gearbox to Tata Motors for the Harrier and its seven-seater iteration. The Hyundai Venue will be the first car in its segment to get the dual-clutch transmission. 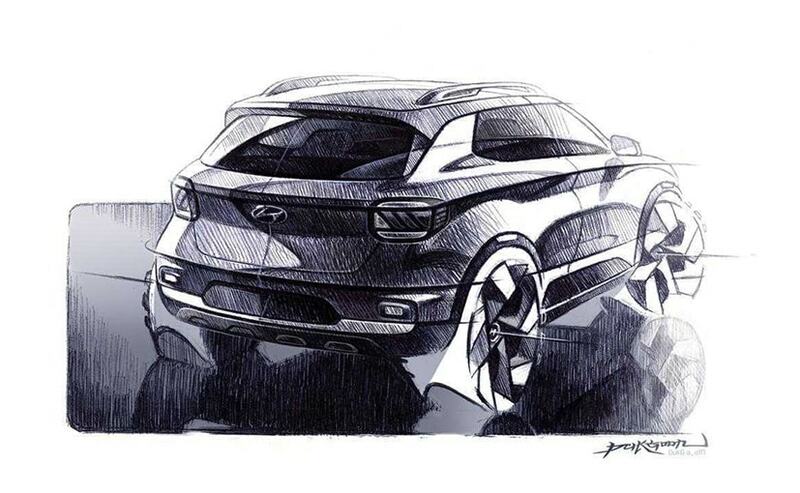 The Hyundai Venue will make its first public appearance on April 17. 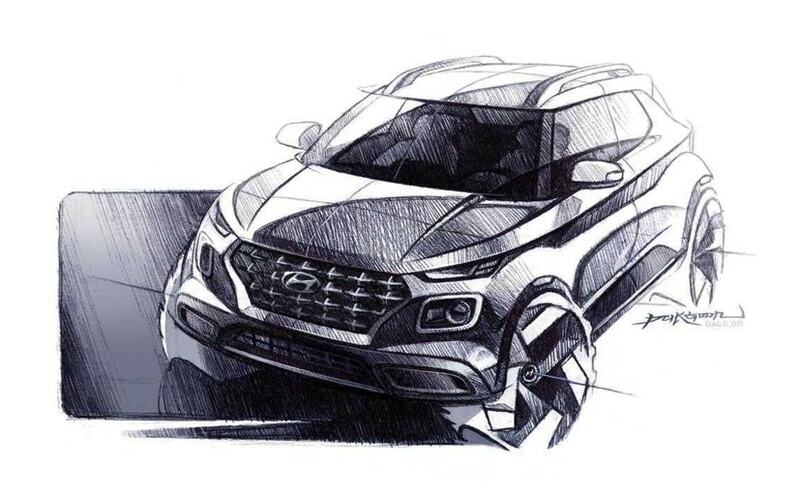 Hyundai India is well aware of the highly competitive space it's going to enter with the upcoming Venue subcompact SUV. The Vitara Brezza, Nexon and now the XUV300 are a few of the successful models for their respective brands and the Venue certainly needs something more to take this competition head on. Hyundai has already upped the ante by commissioning Venue as India's first connected car and now we have also learned that the Venue will be launched with a dual-clutch automatic transmission (DCT) which will surely add another feather to its cap. 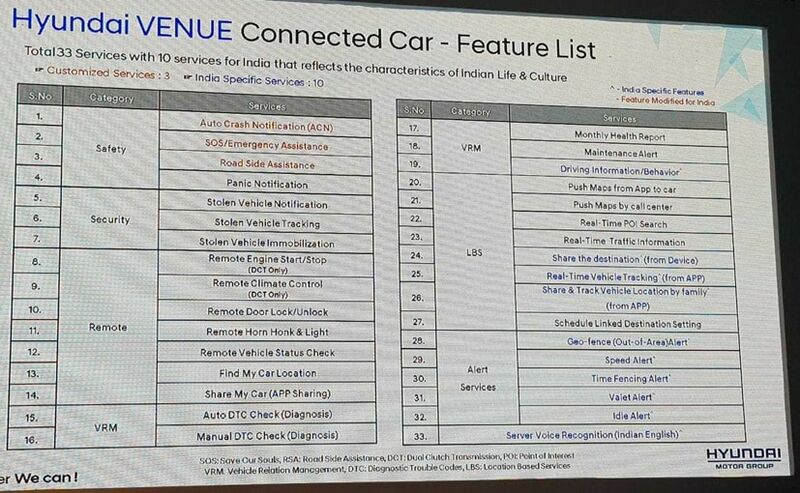 Hyundai India mentioned about the DCT gearbox in its presentation (footer) listing the connected features of the BlueLink connected car technology. Hyundai India had unveiled the BlueLink connected car technology last week and in its presentation, the company had mentioned that some of the features will only be seen in the variant with the dual clutch transmission. The Hyundai Venue will be the first car to get the dual-clutch automatic transmission in the subcompact SUV space. In fact there's no other SUV in a segment above the subcompact space that comes equipped with one. The Mahindra XUV300 is yet to get an automatic transmission. The Maruti Suzuki Vitara Brezza and Tata Nexon, both get an AMT gearbox and the Ford Ecosport is offered with a torque convertor unit. Therefore, DCT being the most refined and quickest of the lot will likely enhance the performance of the Venue which should give it an edge over the competition. The dual-clutch automatic gearbox will be offered alongside the manual gearbox. The Hyundai Venue is also expected to get a 1.0-litre turbocharged petrol engine along with the 1.4-litre petrol and diesel engines.